A local TV channel has been shortlisted for four Royal Television Society Awards – including one nomination for its coverage of the murder of Jo Cox. Made in Leeds has won the quartet of nominations for the RTS Yorkshire Programme Awards. 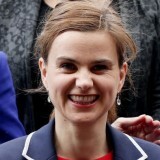 News reporters Joe Robinson and Mark Kielesz-Levine have each been nominated for the News or Current Affairs Reporter category, while the station’s On The Aire daily news show has been nominated for the News Or Current Affairs Story prize for its coverage of the death of MP Jo Cox, pictured above left, at the hands of Neo-Nazi terrorist Thomas Mair. The channel’s Fear No Evil documentary, an account of a one-day trip to Auschwitz-Birkenau concentration camp by 12,00 members of the Jewish community in Leeds, has also been shortlisted for the Single Documentary Award. Jamie Conway, CEO of Made Television said: “We are thrilled to be nominated for 4 RTS Awards. Last year, On The Aire won the Best News Report Award for its coverage of the Yorkshire floods and Made Television’s senior producer and presenter Mark O’Brien was given the ‘One To Watch’ Award. This year’s awards will be presented in Leeds on 7 July.